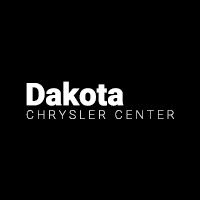 Oil changes are the most common and important aspect of vehicle maintenance, and you can count on the certified technicians at the Dakota Chrysler Center service department in Wahpeton for all your oil change needs near Fargo. We have an array of conventional and synthetic oil blends for your particular make, model, and year, as well as fast and affordable oil change and maintenance service when you choose our Express Lane service. Get an Oil Change at Your Breckenridge Area Service Center Today! Oil changes are an essential aspect of oil maintenance, keeping your piston housings lubricated so that your vehicle performs optimally and doesn’t overheat. Bring your vehicle in for oil changes and other services near Fargo at Dakota Chrysler Center after scheduling an appointment online. Our factory-trained and certified technicians are here to serve you Monday through Saturday, and you can reach us with questions at (701) 969-0828. While you’re here, be sure to check out our guide on how to check tire pressure, as well as where to get the best deal on oil changes in greater Fargo. 0 comment(s) so far on Who Should I Trust for Cheap Oil Change Prices Near Breckenridge?